This article was originally published in Global Trade Magazine on Aug. 22, 2018. The ongoing trade dispute between the US and China (and more recently with Turkey) has understandably pushed the lingering NAFTA negotiations into the recesses of the public’s attention. Yet for those with a vested interest in North American ground freight, the latest developments in the NAFTA talks – which have seen the US set Canada aside to negotiate separately with Mexico – should be watching those discussions very closely. While the pivotal debate is focused on rules of origin for autos and the associated labor provisions that will allow US labor to compete at a more equal level with their Mexican counterparts, there are subtler aspects of the US-Mexico relationship that could have a profound effect on the price and availability of ground freight in North America. When NAFTA was signed in 1993, it liberalized not only trade across North America, but also how goods were moved. Specifically, it was intended to eventually allow Mexican truck drivers to be able to haul loads deep into the US. That level of free movement, however, is still quite limited on America’s southern border. 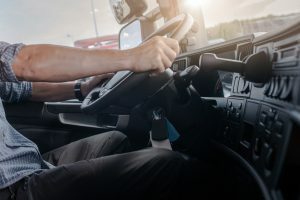 For years, trucking labor groups concerned about the impact the move might have on employment and business in the US trucking industry, fought the move that would allow Mexican truckers to access US highways, noting their trucks were not up to the safety standards set out by America’s relevant governing bodies. As a result, Mexican truckers were forced to transfer their loads to American truckers at rally points within a few kilometres of America’s southern border.